Brand perception is now as important as the online face of any business that is generally represented in the form of a functional website. It is hard to believe but people are more likely to talk about bad experience rather than having the tendency to talk about the good ones. Thus, it has now become prominent for all the web owners to have a distinguished brand identity apart from serving outstandingly to the clients with the help of email templates. Social media as well as mobile device are the voice of today’s generation that also act perfectly for web owners well when it comes to using the platform for brand recognition among the customers. People like to talk about the experience they had with online stores and it serves as an important medium for other people to consider purchasing from that estore. At one hand, where email templates are an important medium to keep alive the communication medium of the business with the customers. Social media, on the other hand, helps improving the brand awareness. Let’s get familiar with the “why & what of brand awareness”. Why brand awareness is important is one important question to consider when we are talking about its role in the identification of the brand’s image. Brand awareness is a big concept that includes the following elements. It also help in measuring below mentioned factors when done correctly. Brand Trust: Data breach has become a common factor and to be careful of this, it is the key to keep tabs on the the level of brand trust. Retaining customers is most easy with a trustworthy band. Brand image is one of the factors that are based on the perception of customers. Thus, it is always advised to offer exceptional services to the customers to make the right brand image. 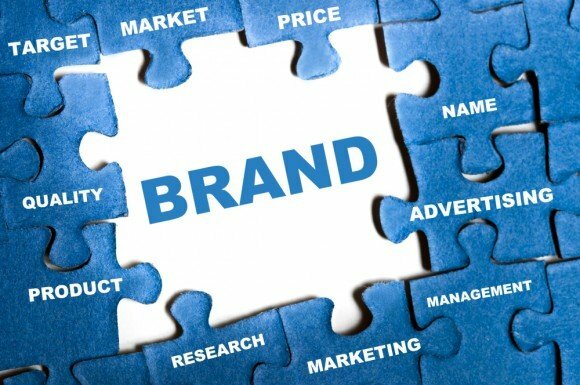 Brand Identity: While customers’ feedback is an important factor to decide the brand image, brand identity is what is created by the marketing team. Thus, the team needs to ensure it is on the right track. Brand Recall: If your customers recalls your brand instantly without recalling the name of the competitors, it means you are optimally serving for the needs of your clients. Brand Loyalty: The loyalty of your brand is easy to craft through customers’ voice who are loyal to the services. Loyalty can only be made by constantly enriching the loyalty level of customers through exceptional brand services. Now let’s explore how brand perception can be improved with email templates! Email templates play an important role in the brand awareness as they help people get an idea of what the services and products are really about. The element can play an important role in the success of the brand through engaging write-up directed towards the clients. Let’s find out how email templates can create the brand awareness. Branding needs consistency. Being consistent with the email templates mean you need to make most of the communication opportunities you get with the template to push the brand. It is advised to keep the elements clean and consistent with the in-house branding rules, from photos to logos to brand consistency so that brand can be strengthened in the eyes of the customers. The subject line of an email template can be used as an additional branding tool. A subject line crafted well attracts the users’ attention, which further drives them towards the template that ultimately builds the brand’s trust in the eyes of the users. If you are excellent at making the users absorb the information from the template, you are indirectly driving users’ trust towards the brand. Making users absorb the information does not mean tricking them towards the email template but rather saying true stories of the brand to genuinely attract the audience. Market research plays an important role in establishing brand’s rapport with the new customers. It also helps to know the type of audiences you are serving to. No one is going to accept a proposal that sounds more like a selling advertisement. Hence, serve your audiences something of their interest that prompts them to respond. The deeper you know your audiences, the better you have the chance to serve them. Hence, utilize the opportunity skillfully. Once you have chosen whom you wish to target, it is time to individualize the message for the targeted audience. Here comes the role of CRM or customer relationship management, which helps managing company’s interaction with the business audiences. Equipped with the survey details from CRM, it becomes the easiest to serve audiences for their personal interests. The benefits of doing so are immense that are added advantages for promoting the brand identity of products or the services. Wouldn’t it be great if we could find what works the best and then use the similar approach instead of starting things from the scratch. With CRM surveys, it becomes easy to identify the approaches that are working the best and utilizing the similar approach to yield the benefits. This helps marketers work on the campaigns that were successful and provided the results as expected. After you found out what served you the best when concreting the brand strategy, you can recycle the blueprint used once to strike success with the email templates in order to make the brand image more trustworthy in the eyes of the customers. Email template is all about writing engaging content to attract the customers towards the business and the services. Moreover, when it comes to using the tool for brand awareness, content again comes as the king to serve for the purpose. An effective content is the key to allure the customers towards the services. In addition to it, if your are talking about the interests of the customers, they are likely to take personal interest in the brand awareness campaign. The content must be a crisp copy of relevant write-up. You just cannot put anything on the template. The copy must have genuine references. Brand promotion through any of the means can only prove to be an effective medium if it is practiced at the right point of time. There is no point of sending email templates every now and then to the clients and then expecting robust results for the same. For the best result, try to send these templates in the morning as well as in the evening. Users are more likely to check their mails when they start their work as well as when they shut down the systems. Taking the best benefit from the fact, you an send the email templates at both point of time. While email templates are purely known as a communication channel to act for the business, a hint of rising sales figure can help in getting customers attention towards the business. It is true that you cannot showcase the whole business graph over an email template; however, the medium can be utilized greatly to make a quick & positive business impression over the customers. Just jot down the rising business figure over the template and let the users do the rest of the thinking. Remember you can just attract the customers and cannot compel them to avail the service; hence, serve them genuinely. 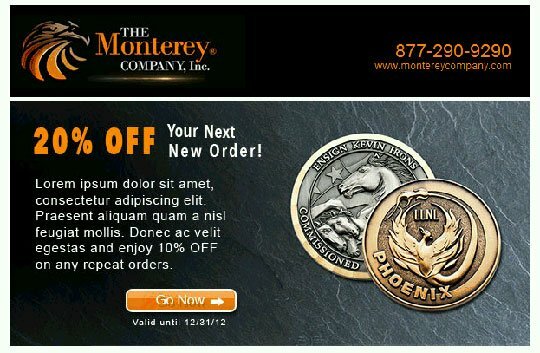 Utilizing email templates in the aforementioned ways can help achieve the true brand identity. With all these measures, the work becomes an easy to do job that provides concrete result in the end. However, market surveys should be planned well in advance to set new avenues with the email templates as the new brand identity tool. These surveys are effective as they tell what and how much the customers expect from a brand. In case, a brand is truly filling up the needs of the customers, it is sure to make a positive impression among the clients, else the efforts may go in vain. As you are devoting a considerable time in promoting the identity of the brand, try to influence the customers as much as possible. They are only the customers who are going to help your brand survive successfully in the market. Thus, keep these elements in the mind to serve your customers the best. Different campaigns for diverse customers. It is not only the ways that help you build the identity of your brand, it is also the approach you take to please the clients belonging to a certain group.